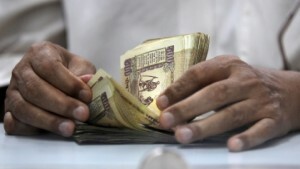 The Indian Finance Ministry unveiled a set of measures on Monday to check the widening current account deficit (CAD) and stem the rupee slide in a volatile foreign exchange market. India’s Finance Minister P Chidambaram pledged to restrict the current account deficit (CAD) to 3.7 per cent of GDP, or $70 billion, in the current fiscal. “CAD is a problem [but] we have solutions. We will implement the solution [and] there is no room for panic…CAD is as much a red line as fiscal deficit. If we can contain CAD, sentiment about currency market and rupee will significantly improve,” he said. New measures announced on Monday include quasi-sovereign bonds by state-owned firms, relaxation in norms to enable banks garner deposits from non-resident Indians and an increase in import duties on non-essential goods like fridges and television sets. These measures would shore up India’s forex inflows by an additional $11 billion during the current fiscal, according to the minister. “Now if we add this $ 11 billion, the inflow will be about $ 75 billion. With this, we will not only be able to fully finance the CAD but also add to our forex reserves,” he said. The finance minister said India is looking for ways to increase oil imports from sanction-ridden Iran, which will result in dollar savings. India is also looking to contain gold imports at 850 tonnes this fiscal year, asserted Chidambaram.